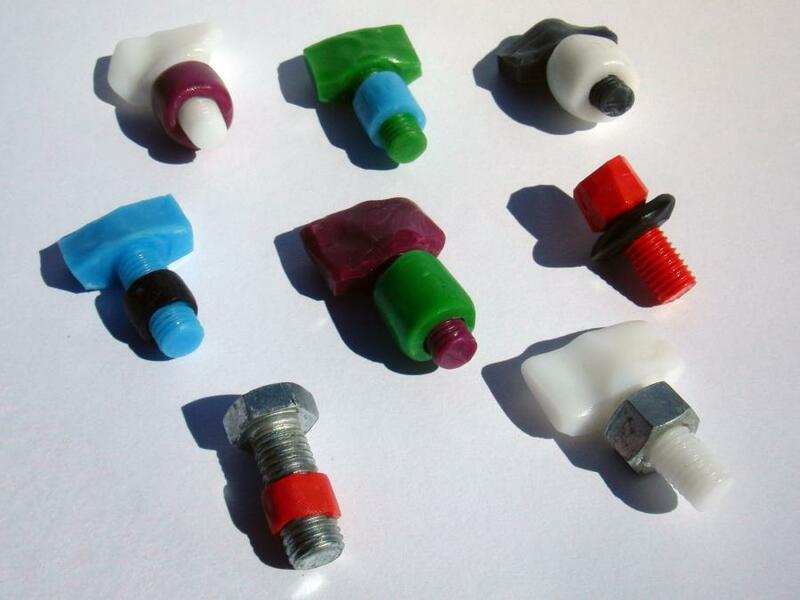 Plastimake interacts really nicely with metal threads like those found on regular nuts and bolts. This makes it simple to create strong Plastimake nuts for any bolts you may have lying around. You can even use Plastimake to make accurate replicas of almost any bolt you own! Moulding Plastimake nuts around existing metal bolts is super easy. Simply wrap some warm Plastimake around the bolt's thread and let it cool. You can then simply unscrew your Plastimake nut from the metal bolt, and even tidy up the edges with a Stanley knife if required. Make a negative outer mould by squeezing a blob of warm Plastimake around the thread of a clean metal bolt. 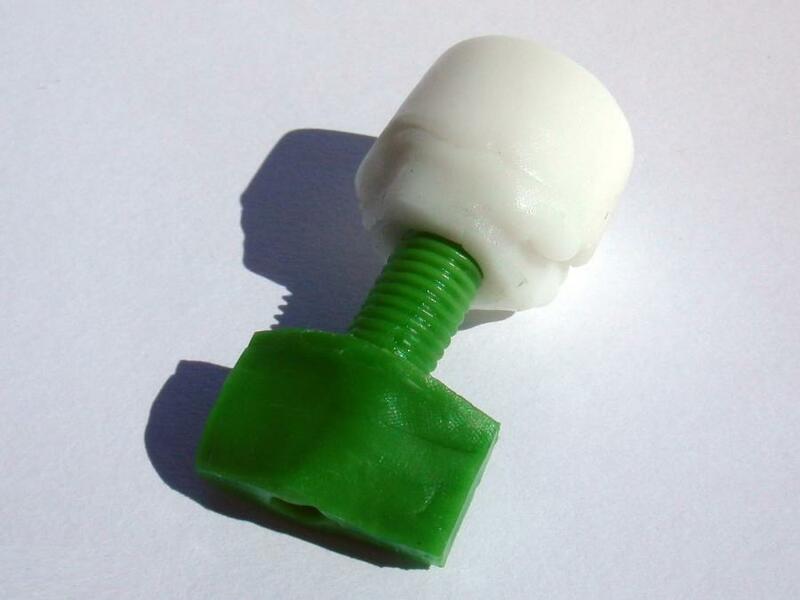 You can see our mould in the final image below, it has a green Plastimake bolt half screwed into it. Once the mould has entirely cooled, unscrew the bolt out of the Plastimake mould. 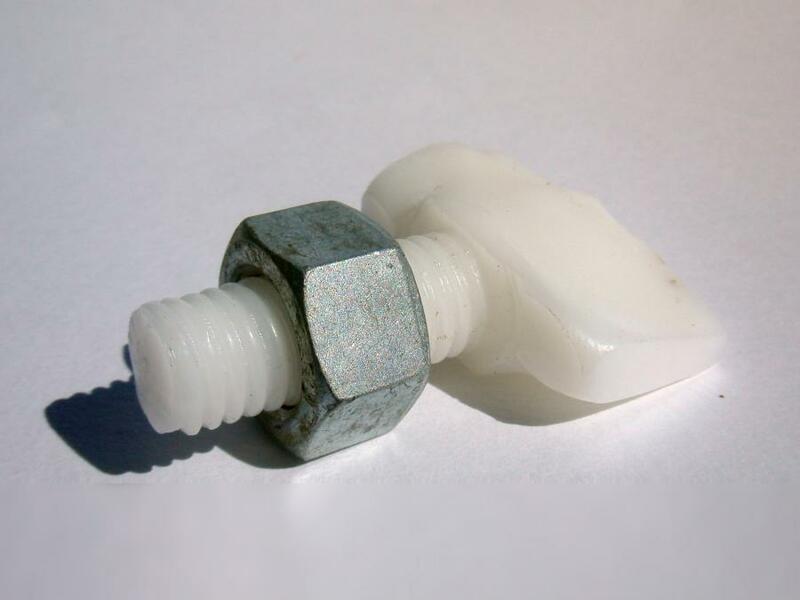 Because Plastimake doesn't stick to metal when it has cooled, the bolt should easily wind out from its Plastimake mould. It's important that the mould has cooled all the way through, otherwise the process of unwinding the bolt will distort the thread mould. Smear a small amount of vaseline inside the Plastimake mould, this will ensure that the mould won't fuse with the warm Plastimake we're about to poke in there. You can also put the mould in the freezer for a little while to lower its temperature, this will further reduce the chance of it fusing. Poke some warm Plastimake into the mould. When making shorter bolts you'll generally be able to poke the warm Plastimake in with enough pressure that it will squeeze right into the edges of the thread mould. When making longer bolts like the ones pictured below, it's necessary to poke a small metal rod (or even a rod of cooled Plastimake!) down the centre of the mould to force the warm Plastimake out into the thread. 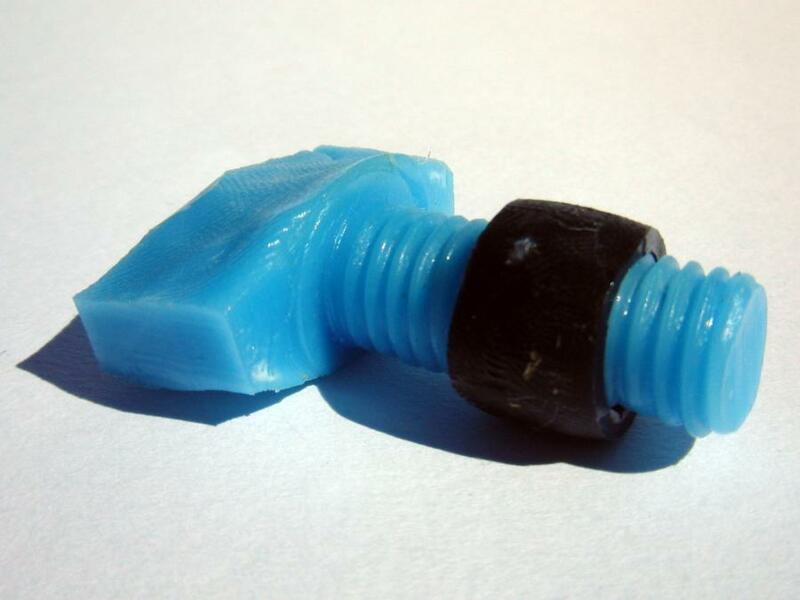 This is a really basic form of compression moulding, a common technique in commercial plastic manufacturing. 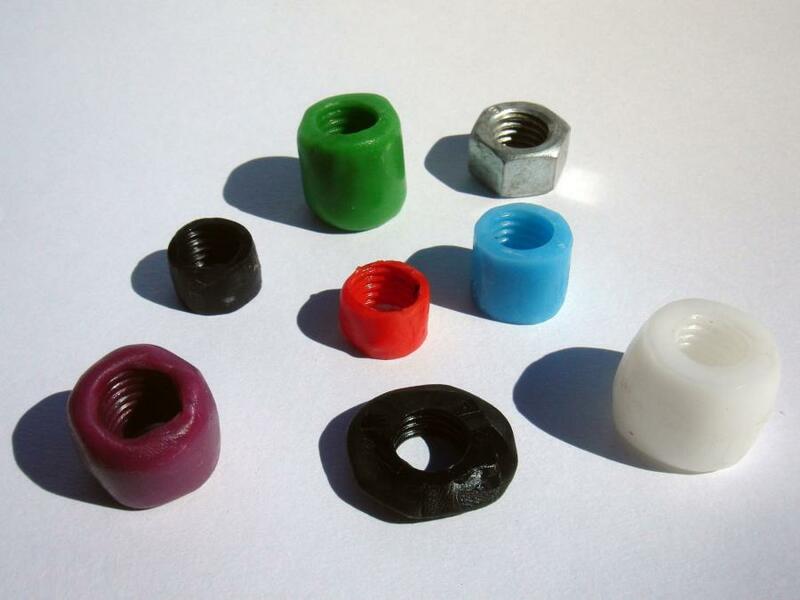 Our favourite part of this process is screwing the completed Plastimake nuts onto Plastimake bolts. They work really well together, plus there's the satisfaction of knowing that you made both parts yourself! 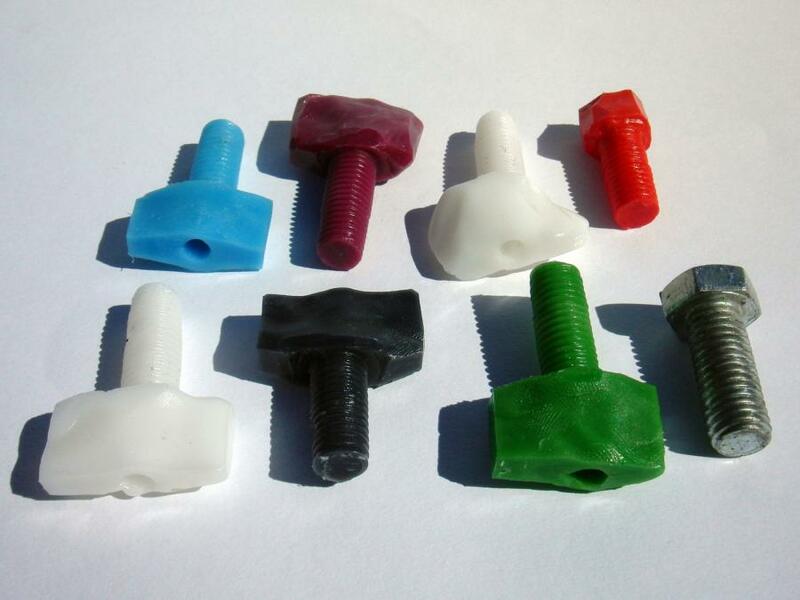 Each of these 12mm bolts uses about 8g of Plastimake.